Many Tamrielic structures in Coldharbour appear to have been stolen directly from Nirn. 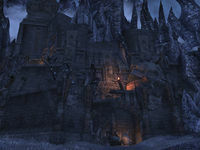 But the Daedra, though not creative, are great imitators, so some locations may merely be uncannily exact replicas. 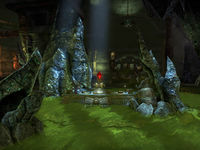 The Vile Laboratory is a Dwemer ruin in southern Coldharbour, southeast of the Hollow City. 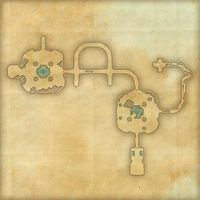 The Vile Laboratory Objective: Help Gadris and Zur reverse the soul-meld.